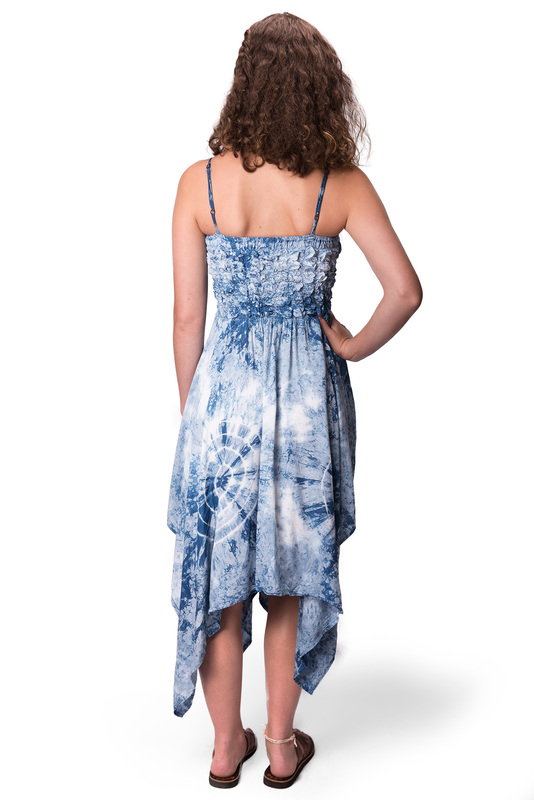 Fun in the sun or fun under the stars, our Tie-Dye Indigo Sundress is just right for day or night. 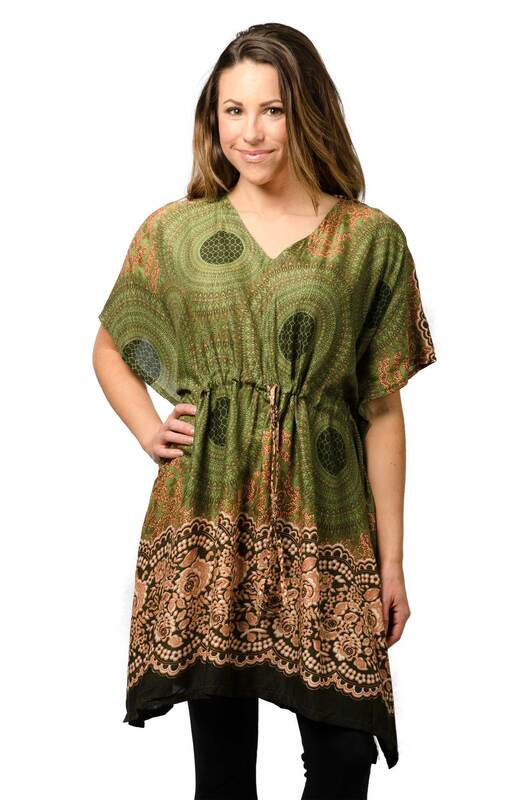 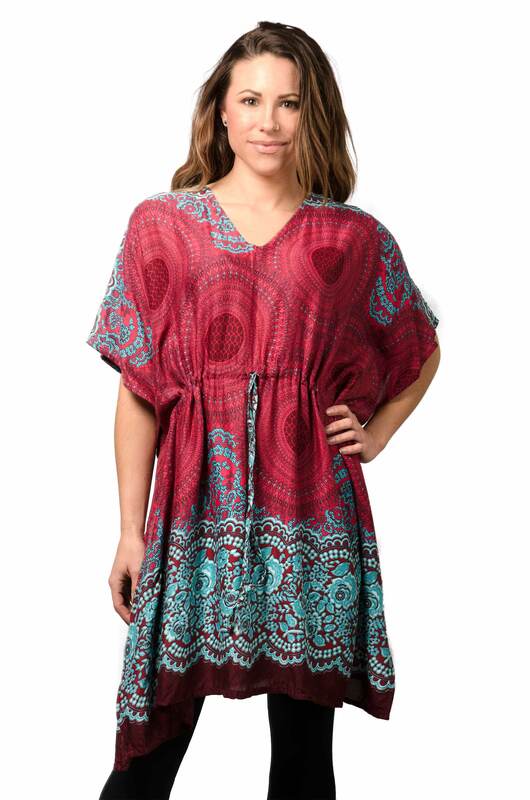 Feminine, funky and luxuriously soft, with just the right touch of bohemian and hippie cool. 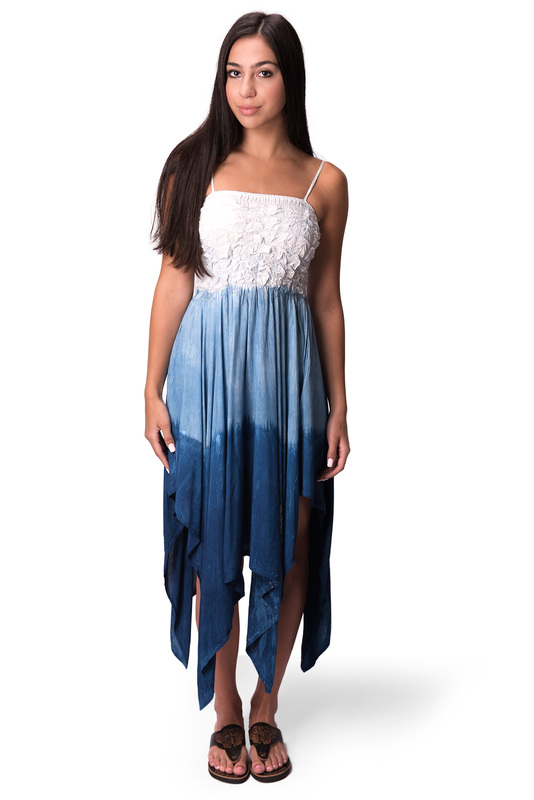 Smocked empire waist, fairy cut bottom Hem.